THIS ATTRACTIVE AND VIBRANTLY COLORED OUTFIT IS BY US DESIGNER CAROLE LITTLE. 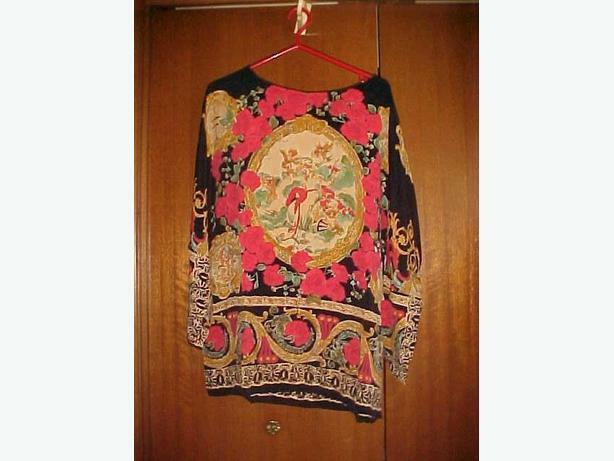 THE OUTFIT IS SIZE 16 AND IS MADE OF RAYON. IT IS IN LIKE NEW CONDITION NEVER HAVING BEEN WORN.